The Simfònica de Cobla i Corda de Catalunya presented its new disc Movie Legends on November 30th, with great success of almost 100% spectators in the Auditori of Girona. 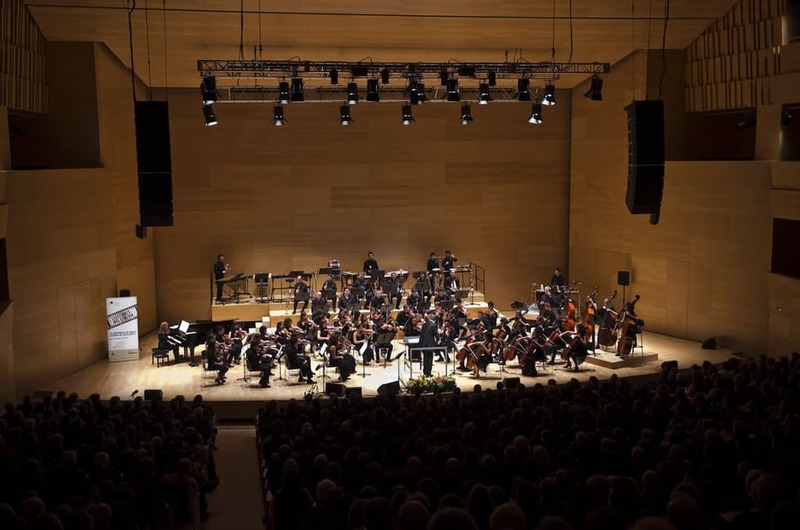 On this occassion, the SCCC rejuvenated, that combines the cobla instrumentalists from La Principal de la Bisbal with the Jove Orquestra de Girona JOCG offered a unique repertoire integrated by the most iconic soundtracks of 20th Century. 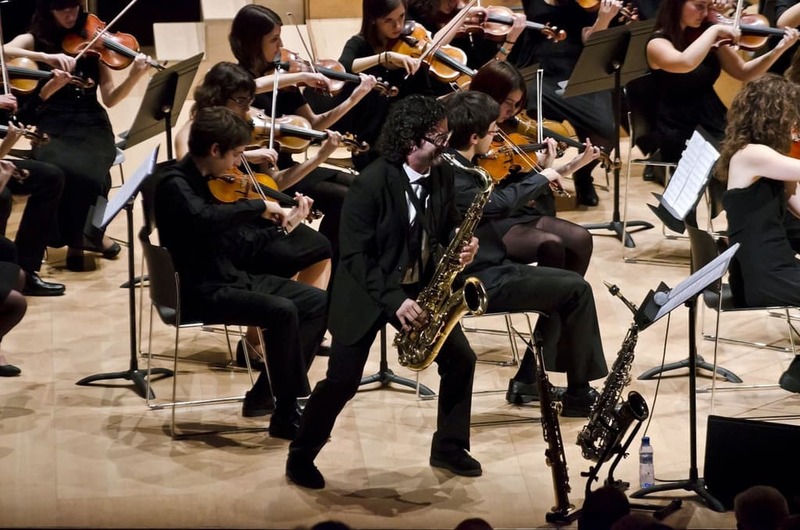 The JOCG is an initiative of the Orquestra de Cadaqués. 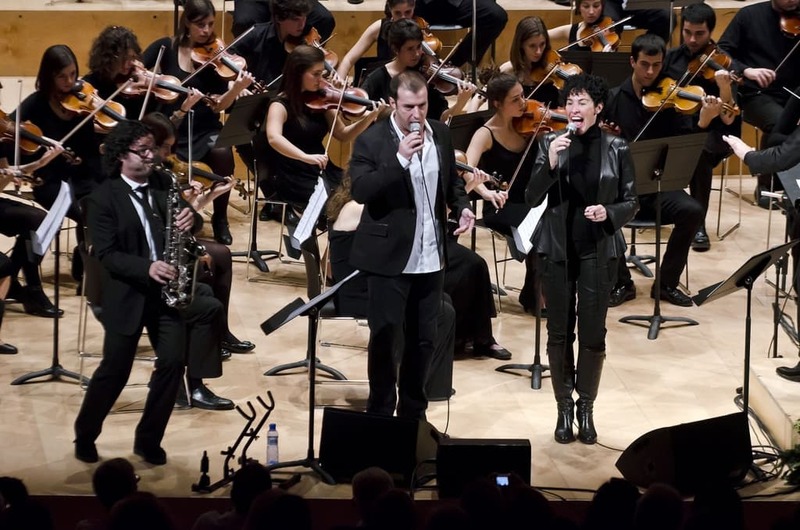 In addition, it features with the collaboration of the singers Nina i Cris Juanico and the saxophonist Pep Poblet, who all delighted the spectators with their oustanding performance and their charisma, also all having a total sympathy with the instrumentalists of the orquestra and the conductor Francesc Cassú.